Tour guide Jasmine Kindred says there's no skill, balance or coordination necessary in using a Segway, but rather, confidence and trust in the machine. Riding a Segway is like giving a speech, dating or going on a job interview. I learned this valuable lesson when I went on a Segway tour at Wascana Park in Regina. Like nearly all things in my life, I was nervous going in. Tour guide Jasmine Kindred told us there was no skill, balance or co-ordination necessary — which is good because I don't have any of those things. Kindred, 32, is the owner of Regina Rolling Robot Tours, the only Segway tour in the city. These robots, as Kindred calls them, do the balancing work for you. All you have to do is trust them. It takes about three minutes for most people to get used to the sensation and gain enough confidence to get their speed up, according to Kindred. For some, like myself, it takes a little longer. The zippy, futuristic vehicles get up to 20 kilometres per hour. At top speed the air rushing by can cool you off on a sunny day. 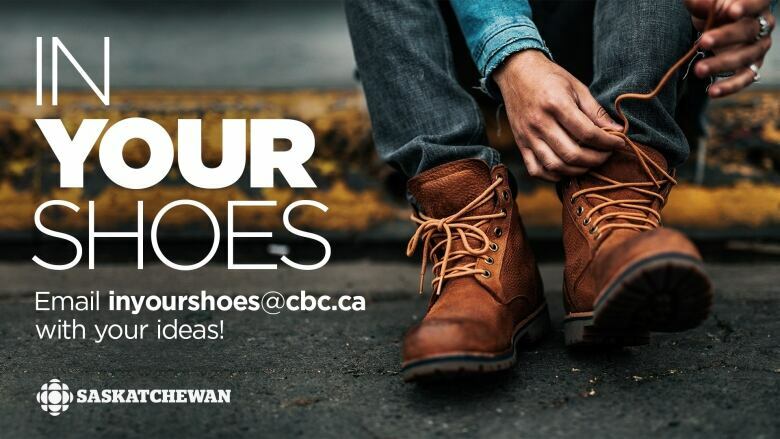 Although they are fast and convenient, you won't see people in Canada cruising to work on one. That's because Segways are considered illegal to ride in public under the ATV act. 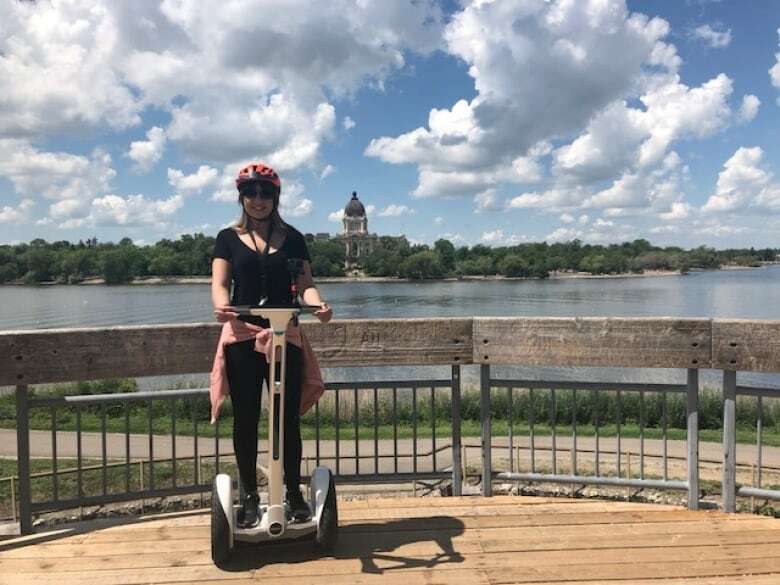 If you rode your own Segway around Wascana Park, you'd be fined, but Kindred has special permission from the Provincial Capital Commission to run her tours in the area. Kindred, who is a social worker during the weekdays, tried her first Segway tour during a family vacation in the Caribbean in 2017 and was hooked. Just a few months later, she opened up her own business. This summer is her second at Wascana. If you are thinking about trying a Segway, you have to embrace the technology. Like something out of Wall-E (or The Jetsons, as one of my tour-mates put it), Segways allow you to have the experience of a walking tour, without all that pesky walking. But don't think it doesn't take energy. Keeping it steady without rolling backwards or forwards aggressively requires a proper distribution of weight. It turns out I put more weight on my heels naturally. While working to keep better posture, my legs got more and more tired. Kindred said it's a very common thing. In fact, there are leg-stretching breaks on her tour. Once you get more comfortable you can stop being so stiff and start moving your feet slightly. This helps. You can't tip a Segway over forward or backward. It's too smart for that. But you can fall right off. This can happen if you are not paying attention and you hit a curb. Don't text and Segway. My colleague hit a curb early on and bailed off into the grass. The worst part about this is the Segway wants to keep going. If you do fall off you should get help getting back on or risk confusing the machine, which is worth more than the cars parked at most high schools. Before you get out on the open road — or path, to be more accurate — you will undergo some training. 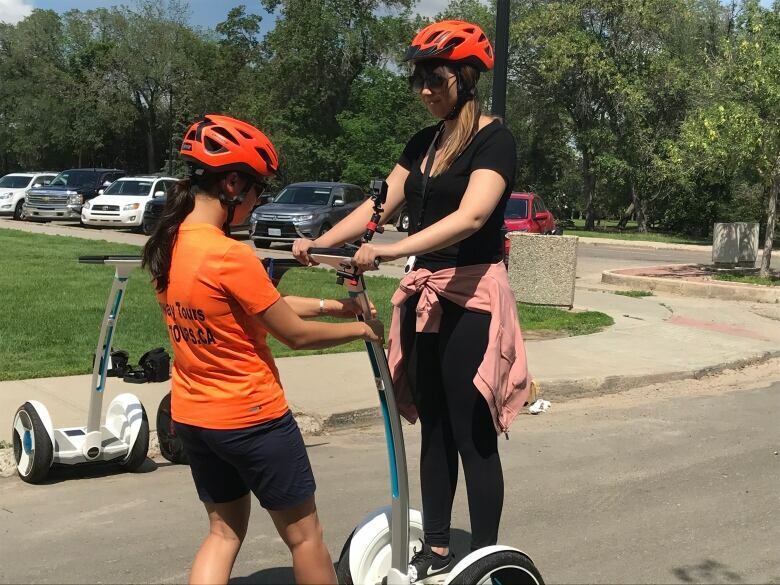 It includes familiarizing yourself with the Segway, completing an obstacle course and learning how to stop, both gradually or swiftly in case of emergency. Each person is given a key fob to start their Segway and a helmet for protection. That's the only equipment you need. 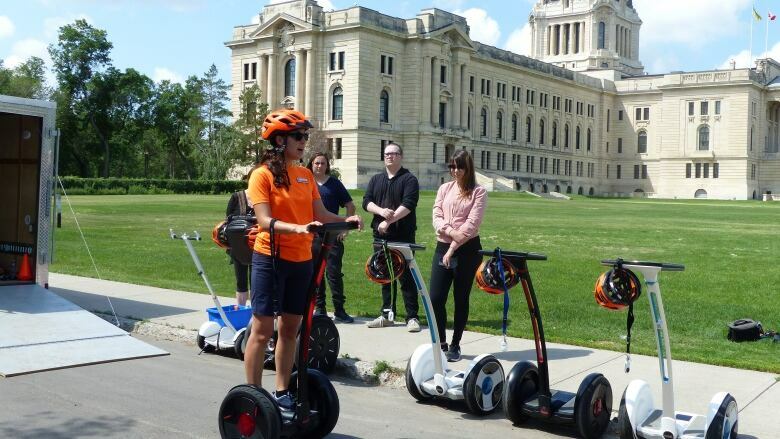 Taking a Segway tour around Wascana allows you to see a new side of what Kindred calls "the gem of Regina." She also recommends looking into Segway tours if you are travelling. I think it's something I would do again. It helps if you don't take yourself too seriously. In my opinion, no one looks cool riding a robotic scooter and wearing a bike helmet. I like to assume the people taking photos of me at the park were just jealous.